The input drive may be from an inverter driven from a battery charged via a solar panel. The system how needs to be 'tuned' and tested. This involves finding the best 'starting' capacitor which will be switched into the circuit for a few seconds at start-up, and the best 'running' capacitor. To summarise: This device takes a low-power 110 Volt AC input and produces a much higher-power electrical output which can be used for powering much greater loads than the input could power. The output power is much higher than the input power. This is free-energy under whatever name you like to apply to it. One advantage which should be stressed, is that very little in the way of construction is needed, and off-the-shelf motors are used. Also, no knowledge of electronics is needed, which makes this one of the easiest to construct free-energy devices available at the present time. One slight disadvantage is that the tuning of the "Prime Mover" motor depends on its loading and most loads have different levels of power requirement from time to time. The charge capacitor "C" needs to be fully discharged before the motor is started, so the press-button switch is pressed to connect the 1K resistor across the capacitor to discharge it fully. If you prefer, the press-button switch and resistor can be omitted and the switch to the DC load closed before the AC input is applied. The switch must then be opened and the AC connected. The starting capacitor "S" and capacitor "R" both operate at full potential until capacitor "C" begins to charge. As capacitor "C" goes through its charging phase, the resistance to capacitors "R" and "S" increases and their potential capacitance becomes less, automatically following the capacitance curve required for proper AC motor operation at start-up. After a few seconds of run time, the output switch is operated, connecting the DC load. 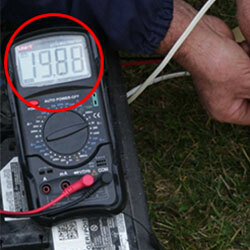 By varying the resistance of the DC load, the correct tuning point can be found. At that point, the DC load resistance keeps both of the capacitors "R" and "S" operating at a potentially low capacitance value. The operation of this circuit is unique, with all of the energy which is normally wasted when the AC motor is starting, being collected in the output capacitor "C". The other bonus is where a DC load is powered for free while it keeps capacitors "R" and "S" in their optimum operating state. The DC load resistance needs to be adjusted to find the value which allows automatic operation of the circuit. When that value has been found and made a permanent part of the installation, then the switch can be left on when the motor is started (which means that it can be omitted). If the switch is left on through the starting phase, capacitor "C" can be a lower value if the DC load resistance is high enough to allow the capacitor to go through its phase shift. The capacitor values shown above were those found to work well with Phil's test motor which was a three-winding, 5 horsepower, 240 volt unit. Under test, driving a fan, the motor draws a maximum of 117 watts and a variable speed 600 watt drill was used for the DC load. The motor operates at its full potential with this circuit. The 120 V AC motor runs very smoothly and quietly drawing only 20 watts of input power. Advancing the design even further, Phil has now produced an extremely clever design by introducing an additional DC motor/generator coupled to the "Prime Mover" motor. 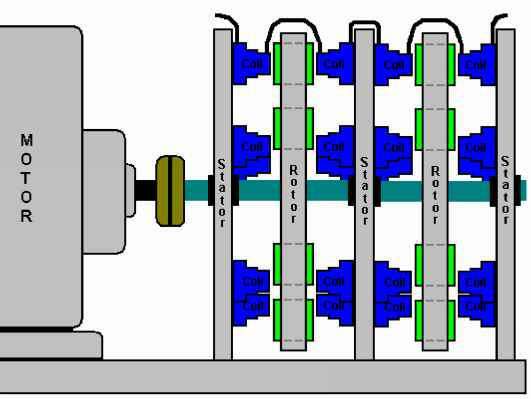 The coupling is nominally mechanical with the two motors physically linked together with a belt and pulleys, but the electrical linking is such that the two motors will synchronise automatically if the mechanical linkage is omitted. I should like to express my thanks to him for sharing this information, diagrams and photographs freely. This circuit is very clever as the DC motor/generator automatically adjusts the running of the AC motor both at startup and under varying loading. Also, the selection of the capacitors is not so critical and no manual intervention is needed at startup. In addition, the DC motor/generator can be used as an additional source of electricity. How to build a rotoverter generator? How alternator used for free dc generator? How to make fuelless generator? What sise resister in a alternater circuit? How to make a dc motor generator? How to make roto verter generator? How to make a rotoverter generator plans? How to make a rotoverter machine? How to calculate the best capacitor for rotoverter? How to homemade a free diagrams circuits of motr dc airplanes? How to build windmill electricity rotor? How to build free electric generator circuit? How to make free power generator? How to make rotoverter work? How to construct free energy devices? How to build manifesting device? How to make Free Elicticity? HOW MANY WATTS ROTO verter PRODUCES? How to drive a high power dc motor directly from a generator? How to start the rotoverter pm? How muller motor generator works? How to free energy rotoverter? How to build a free enegy deice? How to wire up a rotoverter motor? How to connect a rotoverter to generator to power rotoverter? HOW TO BUILD FREE ENERGY DEVICES? How to build free enegy device? How to make fuelless power and storage capacitor? How to work generator motor? What is rotover and how to work and construct? How to create a homemade dc free energy gen? Can I used a synchronous rotor for fuelless generator? How to build rotoverter alternator? How to biuld muller type motor generator? How to build a free electricity generator? How to connecte resistors, capacitors to generating free energy? How to make free energy from gravity engine? How to make a simple fuelless generators generator circuit diagram? How to generate free electricity? How to build free generator 400 volts? How to make 400volts with home made generater? How to build self loop generator at home? How to make free energy generator at home? How to connect capacitor fueles generator? How to make a fuelless generator with a electric fan motor? How to make free energy generator by two dc motors? How to create free energy form 1 motor simple diagram? How many volt that runs the fuelless generator? How to build a capacitor discharged fueless generator? How to create free energy dc generator? How to make ac free energy generator by using capacitor? Is it possible to use Ac motor with alternator for fuelless generator? HOW TO MAKE A FUELLESS GENERATOR WITH ROTOR? 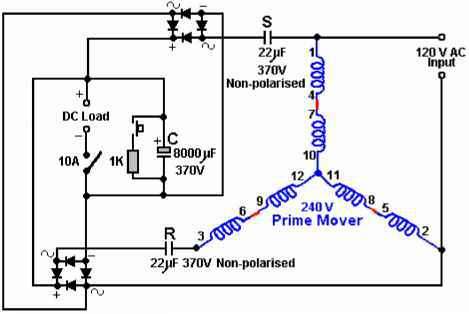 How to make motor generator at home diagram? How to make free energy motor and alternator by Electrical & electronics project? How to generate free energy at home, alternator, moto, battery? How to connect self sustenance circuits of a fuelless generator? How to make free energy alternator and Generator? How To Build Muller Generator? How to create 240 dc volts free? HOW TO MAKE FREE ENERGY BY COUPLING AC MOTOR TO ULTANATOR? How to use capacitors in energy free generator? How ro create loop circuit motors and grnrater? How to make a free energy generators using dc motor? Which type of electric motors can be used in rotoverter? How to make free energy generator capacitor at home? Which capcitor needed for motor generator set self energy? How to make free energy genrator to use 2 dc motors? How to create DC genretor by using two to moter and capacitor circuit digram? 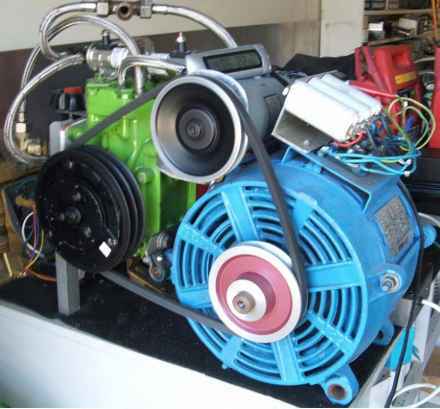 How to build homemade high power fuelless generator? How to make free energy generator at home using car alternator? How to create dc 5 v free energey? How to make a simple fuel less generator with only an altanator and a motor only? How to make a Free energy self running generator using DC motors & Capacitor? How to make a rotoveter with capacitor? What type of capacitor to make free energy? How to connect motor and capacitor self running gerator? Which capacitor make motor generator? How to build a self running power system with rotor and ups? How to make two rotor for free energy generator? Which motors are used in self running dc motor generator? How to make dc motor self enargy ganqrator? How to make two rotor for free energy genaratod? How to make fuelless generator for home made and what are the requirements? Is it possible to self running generator by coupling two motors? How to build a self running generator free energy charger circuit? How to build a small dc self running generator? 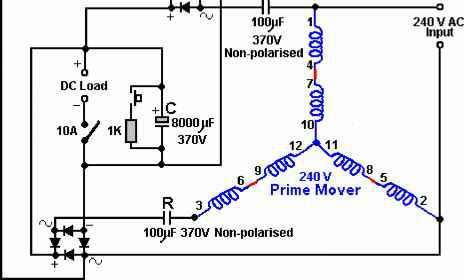 How to make free energy with circuit diagram? How wind energy with alternator of the car work? How to make free energy generator using motor alternator? How drive genretor on moter? How much volt capacitor is needed for making free energy generator by teo dc motors? How to make generator free energy diagarams? How to connect free energy generator with a capacitor? How to power electric motor with starting capacitor for free energy? Which type and number of capacitor can run moto for free energy? How to build free energy selfrunning electric generator? How to make fuel less generator from motors and alternator? How to make a self running rotor? How to couple fuelless generator pictures? How to a self runing energy devic with motorrola? How to make a simple free energy device? How to build a self running inverter with dc motor? How to use motor and capacitor to generate energy? How to build self running generator using capacitor and motor? How to create a fuel less generator with AC current? How to make self looping generator? How to build a magnet driveing a shaft? How to make a simple fuelless generator at home diagrams? How to build free energy generators? How to build an alternator with washer motor? How to make a self runing generator at home? How to make free electric energy with fan coil? How to couple an electric generator current with capacitor? How to build a hydrogen generator free plans? Can you get extra volts from a 4 poledc motor to get free energy? 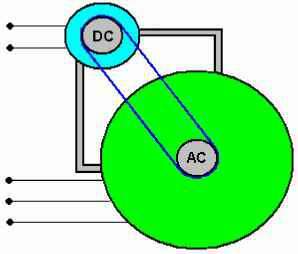 How to use an Ac motor to generate free energy? Is free energy self running generator using dc motor and capacitor real? How to make a free energy generater at home with d c moter? 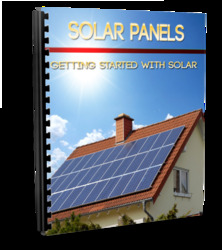 How to make free energy at home from alternaters? How to construct free enegy generator(with pictures)? What inverters can be used with a rotoverter motor?